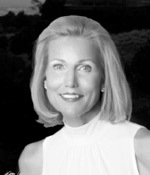 Beth Moise is the President of Beth Moise International (“BMI”). BMI is a global organizational consulting practice dedicated to building dynamic business environments with high performing teams. Beth has her Ph.D. in organizational development and experience as a global executive, executive coach and organizational strategist. In addition to serving on the NDI Board, Beth is currently a Board Member with the Bank of the Rio Grande, Santa Fe Chamber Music Festival, Santa Fe Community Foundation and the Club at Las Campanas.